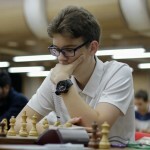 The fifth round of the world Junior championship in review of international master Vladimir Barsky. 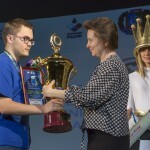 The head coach of Russian national team in this, of course, is not to blame, but on Sunday in Khanty-Mansiysk, Russian juniors together kicked from the first tables. Let’s start the review with duel of the leaders in the open section. Spicy Sicilian position arising from a variant of the dragon. Black to move. 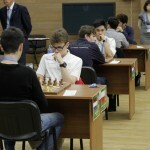 Pure visual sensation White ahead of the opponent’s attack. The analysis shows that it is, however, the threat of Black cannot be underestimated. In the case of rectilinear 17…Qxb2 18.Nd5! Nxd5 19.exd5 g5 (single) 20.Qxg5+ Kh8 21.Kf2! the situation has stabilized: the White King goes to safe haven Knight d4 holds the whole position, and the Bishop d7 no sensible progress. White has an overwhelming advantage. Whereas after the move in party fighting escalates. It was better to play “Steinitz”, who said that the King is a strong figure who can defend herself: 20.Kd2!, for example: 20…Nh5 21.Rxh5 Rf7 (loses to 21…gxh5 22 due.g6 hxg6 23.Qxg6+ Kh8, and here at least 24.Rg1, or rather 24.Ne6) 22.Rh2 – White has an extra piece, but Black’s counter play ends. And here the White Rook can’t be taken because of g5-g6. Black defends off the Mat, and now with the Rook on the 7th horizontal – capture on h5 becomes a threat. White worried for his monarch and are willing to pay for exchange, if only to repel the attack. Meanwhile, it was strongly 22.Rh2 Rxc2 23.Rb1!, reminding Black that their King was still vulnerable. After 23…Bc8 (23…Rxc3? 24.Rb8+) 24.Rb8 Black has to take the strongest figure in the defense – 24…Qc7, and then 25.Rb5, covering square A5, and White keeps the extra material. That was the idea of White: they are on the 3rd row mounts the Rook to the defense. Significant moment: Blacks do not have the figures, but they play to win! Otherwise there would be 23…Bxh3 24.Qxh3 Rxf4! 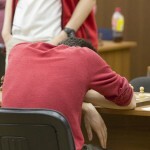 25.Nxf4 Rxc3 and Black counterplay is sufficient for a draw. 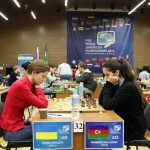 For example: 26.Qc8+ Kf7 27.Qe6+ Kf8 28.Qd5 Qa3, etc. 2) 28.Qb2 Qc8+ 29.Ke3 Qb6+ or 29.Kd1 Rxf4 30.Nxf4 Qxc3 31.Ne6+ Kf7 32.Nd8+ Kg7 33.Ne6+. Most likely, the party would have ended in a perpetual check, the only question is, who will announce his White or Black. Maybe it was the blow on the center Black pinned their hopes, but this is a crucial mistake. Continued resistance 28…Qg2! 29.f5 e6!, and a lot of struggle. We can only guess that it looked Black. Maybe you forgot that after 29…gxf5 30.g6 Rg7 their pawn is not worth more to E7, so 31.Qd8#. 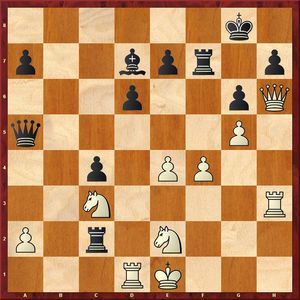 Instead move in the game, harder 29…Qg2, but after 30.Ne2 Qf1+ 31.Kd2 Qa1 32.f6 White has an overwhelming position. A simple and practical solution: to exchange Queens, never to think about any eternal Shahis. 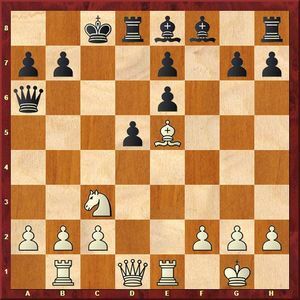 The pawn is invulnerable: 34…Rxf5 35.Ne7+. Black moved the Rook to pass through, but they are late just one tempo. 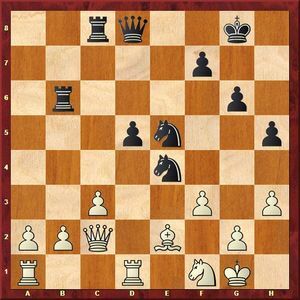 In the case of 40…c1Q 41.g8Q+ Kd6 42.Qd5+ Kc7 43.Nc8+ White matout, so Black try one last chance. 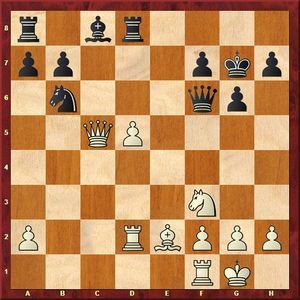 41.Kd3 to place the Queen with the Shah failed, and Black resigned. 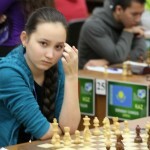 The opponents played quite fresh, not too deeply explored option. 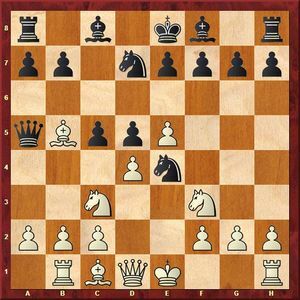 To take the Black pawn unprofitable: 7…Nxc3 8.bxc3 Qxc3+ 9.Bd2 Qa3 10.exd6 exd6 11.0-0 with a decisive advantage in development. A move in the party are unlikely to find followers; stronger 7…E6 or 7…A6, as already played in this position. Very unpleasant inhibiting the pawn sacrifice. 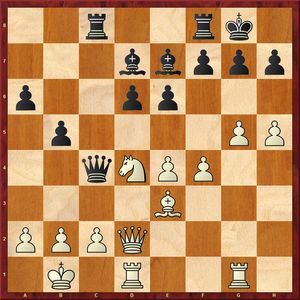 Perhaps even stronger 10.Qe2 with the idea 10…Nxb5 11.Qxb5 Qxb5 12.Nxb5 Kf7 13.Ng5+, and Black will find it hard defense in the end. The blockade of the centre for the weakened dark squares. A controversial decision on the Queenside King comes under attack. 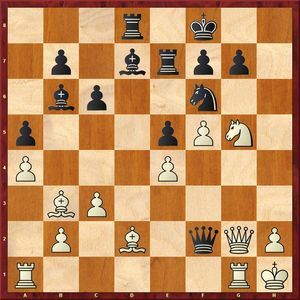 It made sense to hold it in the center and try first to develop the Kingside: 13…Rg8 14.Re1 g6. White is a very simple game. Black tried to buy off a couple of pawns, but it didn’t help. 19…d4 20.b5 Qa5 21.Bxd4 e5 22.Rxe5 e6 23.Qg4 Qa3 24.Re3 Qa5 25.Qxe6+ Bd7 26.Qc4+ Kb8 27.Be5+ Ka8 28.Nd5 Rc8 29.Nc7+ Kb8 30.Rd3 Black resigned. At the exit from the opening Black or donated, whether yawned pawn, then gave another, as compensation for developing the pressure on the Queenside. Now fight under the Knight, and after 26…Nf6 it ended corny: 27.a4 Rd6 28.Qd2 d4 29.cxd4 Nc6 30.Rac1 Rb8 31.d5 Rxd5 32.Qe3 Nd4 33.Bc4 Nf5 34.Bxd5 Nxe3 35.Bxf7+ Kxf7 36.Rxd8 Rxd8 37.Nxe3, and Black resigned. 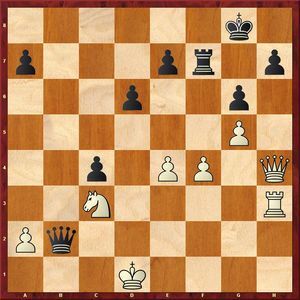 Meanwhile, in the position in the diagram was a fantastic resource – 26…Rb4!! 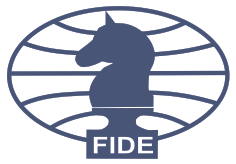 Adults and children want to believe in miracles, so we will try to persuade yourself that after 27.fxe4 Qb6+ 28.Kh1 Rxb2 Black makes a draw: 29.Rab1 (29.Qc1 Rxe2 30.Ng3 Re3 – there certainly Black all right) 29…Rxc2 30.Rxb6 Rxe2 31.exd5 Rxa2 32.d6 Rd8 33.Kg1 Rc2. However, White has a cold-blooded objection 27.Qc1! Qb6+ 28.Qe3. After an approximate 28…Qxe3+ 29.Nxe3 Rxb2 30.Nxd5 Nxc3 31.Nxc3 Rxc3 32.Bf1 Rxf3! Black restore the material balance, but White appliances are very dangerous – 33.a4, and it is not clear, you will be saved, whether Black. 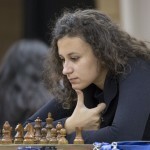 Checkmate with a Queen sacrifice always attracts the attention of: 26.Nh7+! 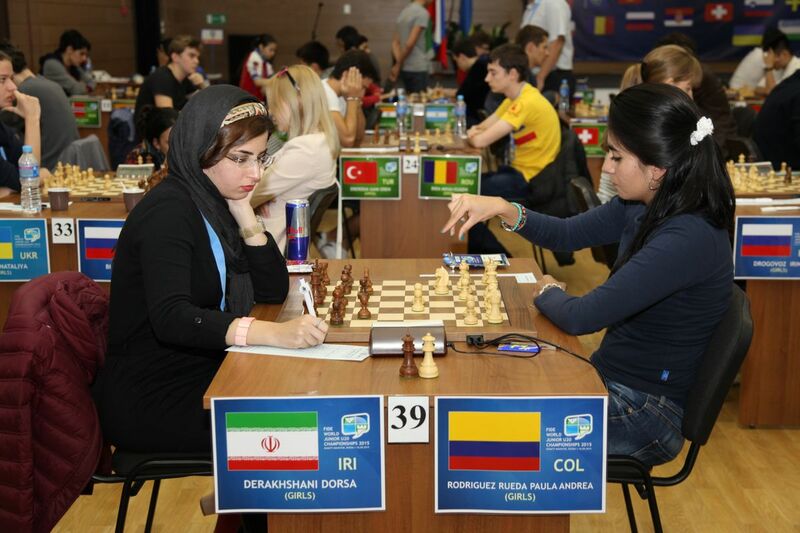 Nxh7 27.Qxg7+ Ke8 28.Qg8+ Nf8 29.Qxf8+!, and Black resigned (29…Kxf8 30.Bh6+ Ke8 31.Rg8#). 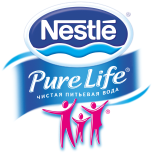 Russian girls, who were part of the group of leaders, their parties of the fifth round held so poorly. This is approximately equal to the position of White began an unsuccessful maneuver – sent the Bishop to b3: 19.Bd1 Bf5 20.Bb3 Be4! Black ordered his Bishop so much better and took the initiative. However, figure yawn in one move White, of course, were not required. 21.Re1?? Bxf3, and had to give in (22.gxf3 Qg5+ winning the Rook). 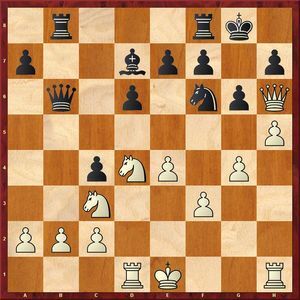 White got the debut of a formidable position, but after a typical eveningecho stroke 20…Rfe8 whole struggle is still ahead. Where to start – just go to option 21.g6 fxg6 22.hxg6 h6 23.Qh2 Bf8, or start with 21.Qh2, and even with 21.Qf2? But after a careless stroke 20…e5? White to play is easy and simple. 22.Nxe7+ Rxe7 23.Qxd6 Qxc2+ 24.Ka1 Rce8 25.f5 Bc8? Yawn Rooks, but already in a difficult position. Bad 25…Qxe4 26.f6, and in the case of 25…Bc6 26.Rc1 Qxe4 27.Bb6 Black remain without figures. 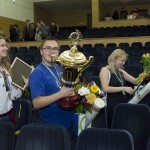 This here is the “Black Sunday” for the Russian juniors. Well, Monday is a great day to start! Михаил Антипов vs Нараянан Сунилдут. 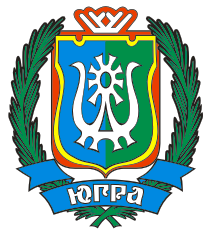 Обзор партии WJCC U-20. Day 6th.